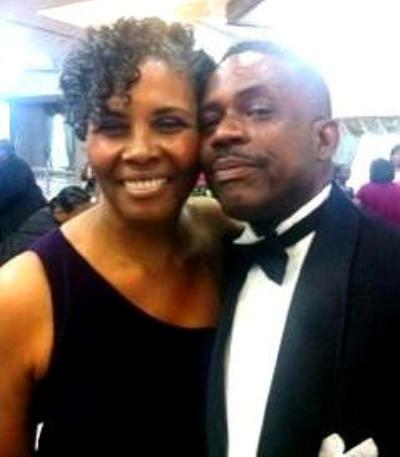 Honoree Annette Harris and Emcee Jim Allen at April 13, 2013 Retirement Gala at Norfolk State University. She happened to take the 911 call after my dad (JOA Sr.) died at home on June 1, 2001. One week ago today, I was honored to serve as the emcee at a retirement gala at Norfolk State University for a family member who served for 34 years among the most noteworthy ranks of first responders; obviously having no idea of the level of heroism we would see from first responders and ordinary citizens in the aftermath of the heinous Boston Marathon bombing on Monday and the police manhunt for the two suspects and city shut-down that followed; ending yesterday with the capture of the surviving suspect. While one has ample cause to reaffirm the celebration of first responders, one is troubled by the early and errant reports by CNN’s John King (and picked up by other media outlets) that the bombing suspects were “dark skinned” men. That was utterly irresponsible, dangerous and ironic at once; particularly since we now know these young brothers’ family hails from near the CaucasusMountain region of Russia—Caucasus, as in Caucasian—which may turn out to be largely inconsequential as well, we’ll see. Putting aside that quick rush to judgment, I think there may be a more meaningful point to attempt to make here. 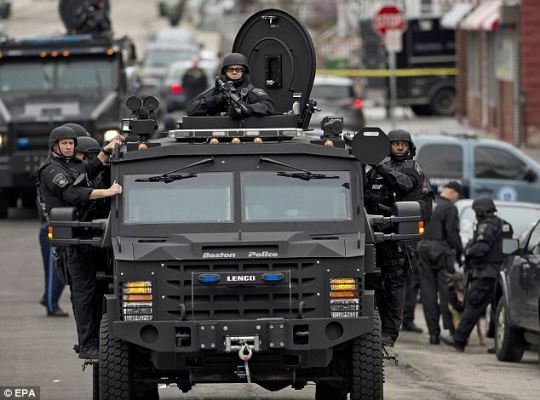 Police shut down a Boston-area bedroom community, without mobilizing the National Guard, and deployed tactical sophistication and an overwhelming show of coordinated force (developed since 9-11) which included interagency electronic communication, video surveillance from numerous private and public sources, house-to-house searches, advanced-SWAT-grade weaponry and first-responder infrastructure, barricaded streets and voluntary lockdown orders for citizens. Notwithstanding what those among gun-rights advocates who fear the possible tyranny of the government might make of that well-oiled mechanism of paramilitary force, I now know, without a doubt, that if the government is of a mind to shut down crime and criminals in any given area for a period of time, it can. Somehow, as a nation we are no longer “outraged” when there are multiple murders from gun violence in Washington, DC, Detroit and Chicago inner-city neighborhoods, on any given weekend, as were the residents of Watertown, MA, after just one night, when the bombing suspects allegedly shot it out with police in their otherwise peaceful neighborhood. “I cannot believe it—not here,” said one resident. “Not us,” said another. But we, as a nation, accept it in neighborhoods where, let’s say, certain other people are predominant. It’s sad, and I am so reluctant to voice it in those terms, but it’s true. Really, I suppose one cannot blame others for violence in their own communities, but when thousands die every year of gun violence on the streets of America, that’s an epidemic that impacts and should concern us all—and it is likely just a matter of time before someone you know, or knows someone whom you know, is either a victim or a perpetrator. All except for their own mother, whose mixed messages included the FBI had been tracking her elder son for three years, she had been interviewed by government officials about his “suspicious” activities and that he was “set up” and “controlled” by the FBI. An ex-girlfriend of his years ago reportedly filed assault charges against him, which, in conjunction with his FBI file, some sources indicate may have led to his US citizenship application being placed on hold(which the younger brother achieved), thus, perhaps, essentially ending his US amateur boxing career, and US Olympic-team dream, which was his passion, and perhaps initially sparked his anger according to some credible reports. In any case, it appears these brothers were well armed and well-trained (or self-trained) at least in Improvised Explosive Devise (IED) execution, if not end-game, escape tactics. An auto-body mechanic said in a television interview this week that the “nail biting” and visibly shaken younger suspect, who was known to him as a “neighborhood kid,” came to pick up his brother’s car after the bombing, but it was not ready for delivery. How much different would this story be if that car had been ready? Moreover, and on a different front, we each need to take a long look in the mirror to see how we might have had a hand letting so many young people in our inner-cities spin out of control, to become “thug radicalized,” steeped in ignorance (with abysmal drop-out rates), premature parenthood and violence. While we in America continually attempt to heal ourselves from centuries of social pathology, the Boston area has given us more proof that whole-community involvement makes a difference in law enforcement and that more tax dollars can and should be shifted to facilitate an increased police presence in violence-blighted communities in order to take back those neighborhoods currently under siege from untrained shooters whose value systems do not mix well with firearms; to the dismay of the majority of citizens in those communities who are law abiding, conscientious residents who want to raise their children to be educated in public schools and live in safety with hopes of upward mobility. It was a resident of Watertown who informed the police that a murder suspect (from a nearby community) was hiding in a boat behind his house. Was the person who reported this to the police a “snitch” or a hero? People in urban communities must stop covering for criminals. The concept of labeling someone a “snitch” for reporting to police the whereabouts of someone who is actively engaged in undermining ones community is foolish and self destructive. From the concerted police action in Boston, we now have a template to send a desperate, weapons-sophisticated teenage murder suspect into hiding, with the president’s, governor’s and mayor’s commitment of the necessary resources and with the community’s’ support. The same should now be fully expected in not-so-bedroom-like communities while we work to get our minds right and in the meantime effectively shut down firearm-ignorant, cowardly drive-by shooters, who many times are also between 19 and 26 years of age. It appears to be a matter of prioritizing the allocation of resources. Would it not be great to see inner-city policemen spontaneously cheered by the people they serve and people in those communities feeling the sort of relief that is felt today in Watertown? This entry was posted in 2nd Amendment, Gun Control, Gun Rights, Media, NRA, Politics, Second Amendment and tagged Boston Marathon Bombing, Dzhokhar Tsarnaev. Bookmark the permalink. 16 Responses to Boston PD Bomber Suspects Manhunt: So That’s How You Take Back a Neighborhood? Well said, great perspective and unfortunately ( or fortunately ) true. I can count on you for putting into words how I feel. This is why I love you so much. Your voice is so strong and accurate. Thank You, we have got to take back control of the forgotten parts of America. Not with force but with love. Living in Boston, i was impressed w how quickly the police crowd sourced both the search for a good photo of the backpack guys AND IDing them once it was found [tho i also heard that the pic wasn’t of the right people? not sure,]. Carlos Arredondo [guy in cowboy hat saved Jeff Baumann, who lost two legs]. Carlos just returning from his native Costa Rica, had lost one son 2003 [Alex, Jamaica Plain PO now named after Alex] to Bush’s war in Iraq; lost his last child, Brian to suicide in 2011 [Brian survivor guilt, served in same unit as Alex]. Carlos burned Marine Corps van and nearly killed himself w fire when he heard about Alex’ death]. Carlos the very respected peace activist ran TOWARD the bombing to save another man’s son. Baumann ID’ed the killers. and, do you, Jim Allen, really want Grove Hall part of Roxbury [six+ shootings in that community since the Marathon bombing] locked down to find shooters? Boston Police much improved… don’t know? Thank you for wisdom and strong voice. Very thoughtful words and you have given me a lot of food for thought. Privacy rights, etc. are sometimes tough to reconcile while under siege. I am praying for wisdom. Thanks for taking the time to share your interesting and informative post. Reblogged this on WebsterWeb's World. so well said! i think it very interesting you comment on the whole “it couldn’t happen to us” mentality because there was a lot of that when columbine happened – i was a senior in high school just north of denver when that happened. it was about six weeks prior to my graduation. it was a horrible situation and then i remember kind of snapping out of the funk if you will when i hear a woman say “i don’t understand how this could happen to us.” i remember feeling offended that somehow she’s better than the rest of us and that they should be excused somehow. the point of course is that no one is exempt. i spent a total of three weeks volunteering in detroit when i was in college talking to kids about violence prevention. there were questions about columbine and how come detroit doesn’t get that attention. i didn’t know what to say. i knew but i couldn’t tell kids that they were to be ignored because violence is just expected in a low economy, predominately black community. the point really is that violence can happen anywhere at any time and it does seem to be happening more and its more and more from people we allegedly least expect. i also wanted to say thank you for taking a moment to check out my blog and to be a follower! i’m honored. I am honored. I love the “more love” and “No excuses” and the very idea of stormy musings puts me in mind of Lena Horne (smile)! Keep up the inspired work! Thanks for dropping by my blog, and especially for these thoughtful comments. We may not all have a lot of power or influence, but we can all encourage the good kids — there are lots of them — in inner cities, and support individuals and organizations working to stop violence. We can all also practice kindness and compassion and maybe, some day, begin to build bridges of understanding with people who see the world through eyes very different from ours. Wonderful piece! I love your voice. Please, keep writing. What you have to say needs to be heard! Thanks for reminding us to take the time to focus on the beauty around us and to become active beautifists— Hey did I just make us a word (smile)? I appreciate the encouragement! Most of the people closest to me appear not to get me at all. Very nicely put. Are “armed police lockdown” and “whole community involvement” opposite ends of the same spectrum of social harmony, as we seek a right position somewhere in the middle, where the potential bombers are disarmed as much by the eyes, ears and love of fellow-citizens, as by the hard weaponry? Great question and happy to meet you in the middle!